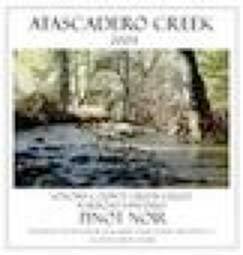 I have recently sampled a number of released Pinot Noirs from different areas of the Sonoma Coast . Several of these wines were obtained from Jason Jenkins, proprietor of Vine & Barrel, an excellent wine shop and tasting bar at 143 Kentucky Street in Petaluma. Jason (photo right) stocks well over 85 Pinot Noirs and carries almost all Pinot Noirs grown in the Petaluma GAP region. Built above an old speak easy, the location has served as both a brothel and card room and has even been a drinking hideout for Al Capone in the 1930s. In early October of this year, Vine & Barrel hosted the Great Petaluma Pinot Noir Tasting with over 35 wineries attending. The website is www.vineandbarrel.com (707-765-1112). 14.3% alc., $40. A family owned boutique winery owned by Jeff and Judy Jones in Sebastopol. Gold Medal winner at the 2008 Sonoma County Harvest Fair. · Light crimson robe. Long and persistent scents of black cherries, violets, oak and baking spice. Elegantly styled cherry core wrapped in savory herbs. The finish leaves a leafy and oaky impression. The nose trumps the palate at this stage. 14.2% alc., $28.50. This is winemaker Richard Davis’s own label. He also makes the wines at Halleck Vineyard and Londer Vineyards. Best of Class winner at the 2008 Sonoma County Harvest Fair Wine Competition. Sourced from Sangiacomo and Hallberg vineyards. · Bright Bing cherry initially, developing a darker fruit profile with time in the glass. Cherry-driven flavors with a hint of prune, tea and subtle oak. A very satisfying drink that is silky textured and beautifully composed. Not a serious wine, but readily accessible and a good value. 13.9% alc., $28. · Reserved aromatics of berries, exotic spices, oak and rose petals. Tart blackberry and black raspberry fruit with moderate fullness in the mouth, smooth texture, and a dry, tangy finish. Still drank fine the next day from a re-corked previously open bottle. 14.6% alc., 150 cases, $28. · Alluring scent of ripe cherry and raspberry compote and cola. Refined tannins surround the juicy cherry core. Hints of root beer and cream soda add interest. Nicely restrained and well-crafted. 14.3% alc., $50. Aged in 30% new French oak. · Patience is the word here. If you drink the wine now, decant it or swirl vigorously in the glass. Reserved, but pleasant earth-dusted black cherries, violets and wine cellar scents. Brimming with dark berry fruit that is toned with musk and cola. Well-integrated oak, silk and satin on the palate, and finishing with mild ripe, dry tannins. Beautifully crafted with great potential, but this wine has a ways to go before it completely reveals itself. 13.9% alc., 250 cases, $30. From a vineyard located on southwest Petaluma hillsides. Vinified by Dan Goldfield. · Luxurious scents of bright red cherries, sage and oak. Cherry-driven with crisp flavors and bright acidity on a medium-weighted framework. 14.1% alc., $32. Grown by Flocchini Estate Vineyards, cellared and bottled by Flo Enterprise, Sebastopol. 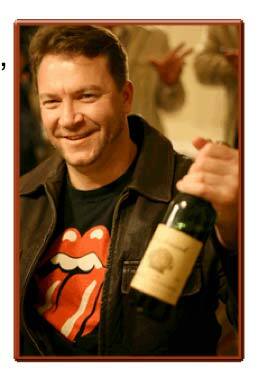 The winemaker is Jared Souza. · Deep reddishpurple in color. Dark berry jam, cooked plum, hint of prune and smoke aromas are followed in the mouth by silky dark fruits, black tea, and orange peel flavors that fan out nicely on the palate. Perfectly balanced with admirable acidity and some persistence on the finish. 14.6% alc., $33. 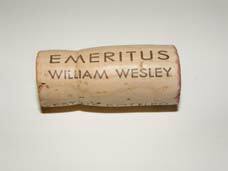 From a very small family owned winery in the Green Valley sub-appellation of the Russian River Valley. 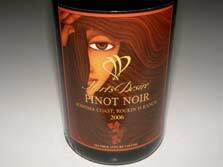 A tasting room is in Sebastopol at 3541 Gravenstein Hwy N. · Appealing fruity nose with slightly confected cherries and strawberries and a sidecar of Provencal herbs. The herbs carry through on the palate that features soft, light redder fruits. A soft, smooth and feminine wine with appeal. 12.5% alc., $25. An estate bottled wine from Windy Hill Estate in Cotati (Petaluma Gap region of Sonoma Coast). · A complex aromatic profile consisting of black cherry, rhubarb, herbs and a touch of oak, gaining power with time in the glass. Oak dominates the grillmarked fruit on the palate especially on the finish. Silky in texture with supple tannins and a dry finish. Decent at best.